Take the JR or Kanto Tetsudo Highway Bus bound for Tsukuba Daigaku Chuo (65 min., \1,180). Get off at Tsukuba Center. 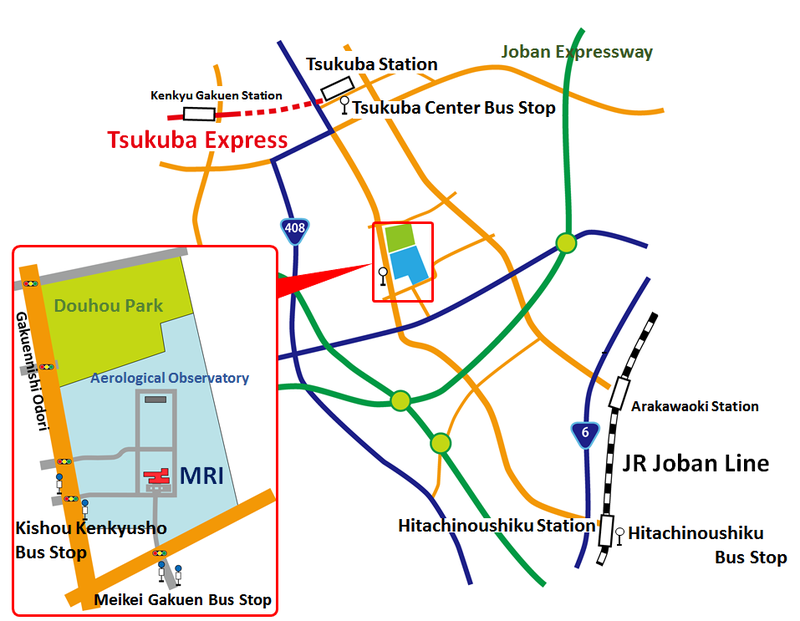 From Tsukuba Center Bus Terminal, take the Kanto Tetsudo bus bound for Hitachinoushiku (15 min., \250) at bus stop no. 4. Take the JR Joban Line train and get off at Hitachinoushiku (60 min., \970). Take the Kanto Tetsudo Bus bound for Tsukuba Daigaku Chuo or Tsukuba Center (20 min., \370) at bus stop no. 1. Take the Tsukuba Express train bound for Tsukuba (45 ? 65 min., \1,190). Get off at Tsukuba (the terminus) and take exit A4. 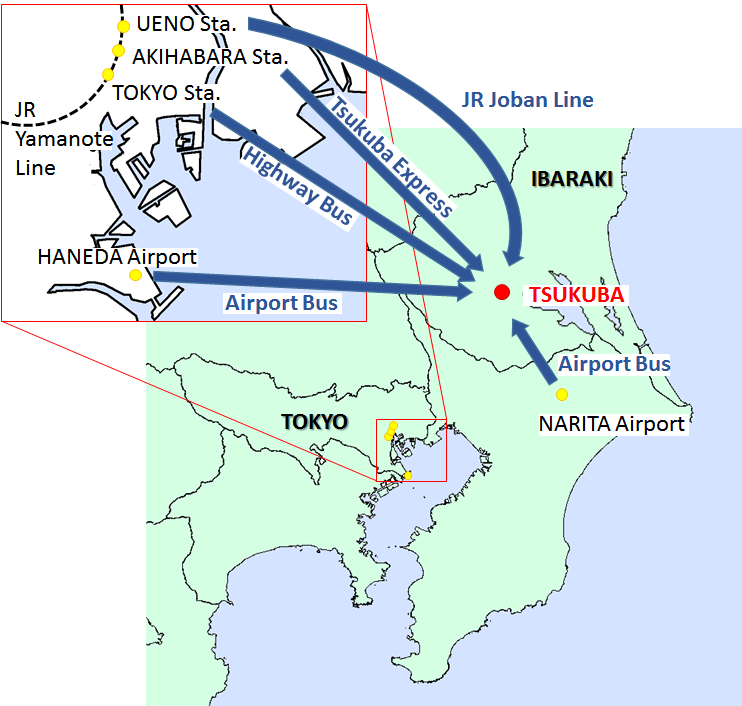 Take the bus bound for Tsukuba Center (120 min., \1,850). Get off at Tsukuba Center (the terminus). Take the bus bound for Tsuchiura Station (80 min., \2,200).